Guests enjoy open vehicle game drives that we provide during our visits to Hluhluwe Umfolozi Park. 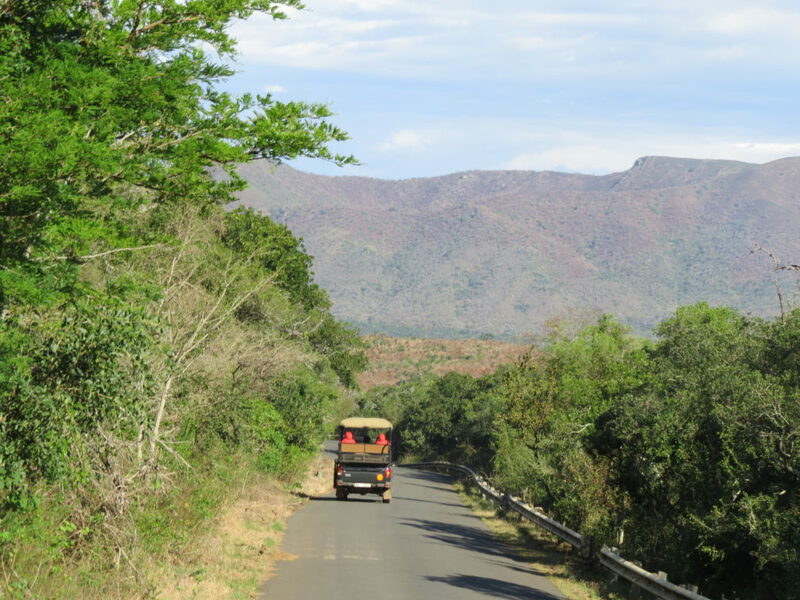 Not far from Leopard Walk Lodge, this Park is just under 1000 square kilometers. It is similar in extent to Hong Kong and Netherlands Antilles. Our guest are able to experience the amazing biodiversity including the Big Five. Most often seen of the Big Five are the rhino, lion, Elephant and Buffalo. Leopard are also seen at times. One of the highlights of a visit is that one is usually guaranteed to see many rhino, a species that was brought back from extinction and is now protected and also distributed throughout Africa from the Park. The Park also teams with most species of South Africa’s wildlife and it has scenic expansive hills, valleys and space for all the wild that call it home. We arrange both packages that include game drives and also any day visits that our guest may require.